Provision of world-leading sports & exercise physiotherapy services to all New Zealanders for optimal health and sporting performance. Sports & Exercise Physiotherapy New Zealand promotes safe participation in physical activity, exercise, recreation and sport for participants of all ages and abilities for the maintenance of a healthy lifestyle and for optimal sporting performance. 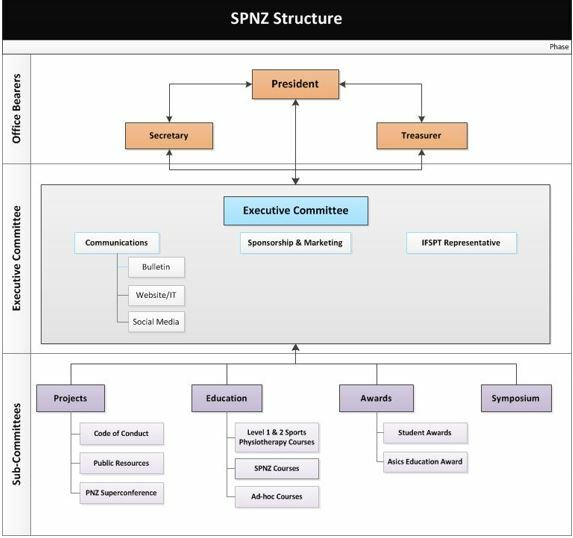 SEPNZ’s mission is to empower our members in the provision of high quality sports physiotherapy services to participants of all ages and abilities involved in sport, exercise and recreation through the promotion of excellence in education, research, clinical practice and specialisation. PROMOTE PHYSICAL ACTIVITY: Promote and facilitate safe involvement in physical activity, exercise and sport to all New Zealanders. PROMOTE SPORTS AND EXERCISE PHYSIOTHERAPY: Promote sports and orthopaedic physiotherapy practice to the public and to the physiotherapy and wider medical profession. OPTIMISE SPORTING PERFORMANCE Optimise and enhance performance at all levels of sport. FACILITATE EDUCATION and RESEARCH: Facilitate education, training and research in sports, exercise and orthopaedic physiotherapy to enable a high standard of practice. SET ADVANCED PRACTICE STANDARDS: Set standards for advanced sports & exercise physiotherapy practice in NZ. ADVOCACY: Advocate for SEPNZ members and for sports & exercise physiotherapy within the, physiotherapy, medical and wider community. To educate the public on sports injuries and their management to help reduce injury morbidity and mortality. To educate the public on physical activity and exercise to promote health, and to contribute towards management of chronic health disorders. To work in conjunction with like-minded groups to improve health outcomes of those with sports and orthopaedic related injuries. The objectives of the Group shall be compatible with those of the New Zealand Society of Physiotherapists (Inc). UNITY: recognising, uniting and collaborating with the members of PNZ interested in all aspects of Sports & Exercise Physiotherapy. EXCELLENCE: Maintaining high standards in the delivery of sport & exercise physiotherapy services. SHARING: openly sharing knowledge and information with the Public and our partners in the Sports Medicine and Science community.